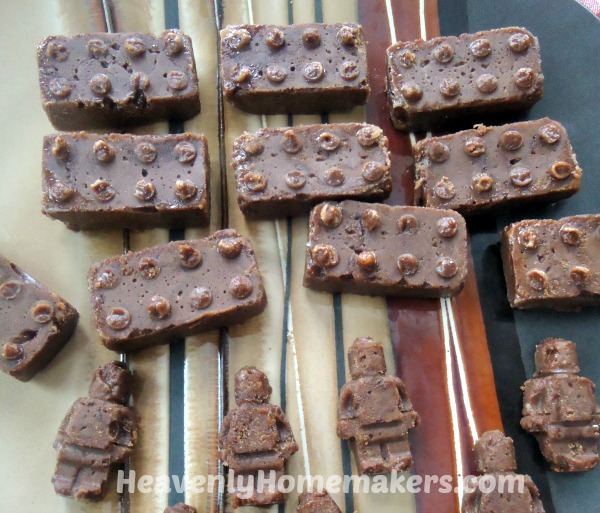 Homemade Real Food Tootsie Roll Candy – Perfect for Kids to Make! You don’t have to make this real food tootsie roll recipe into the shape of Legos, but for real. They do taste better this way. When I decided to be intentional about helping Malachi learn to cook, I knew I’d need to start him with something simple, sweet, and fun. Hey, Malachi! Want to put your soccer ball away and come make a boring meat and vegetable casserole all by yourself?!! You don’t?!? My Peanut Butter Honey Fudge recipe seemed like a fun and perfect choice…except for the fact that Malachi hates peanut butter. “Hey, Malachi! Want to come make something that will make you totally gag? You don’t?!? Cut down the honey to make it less sugary. 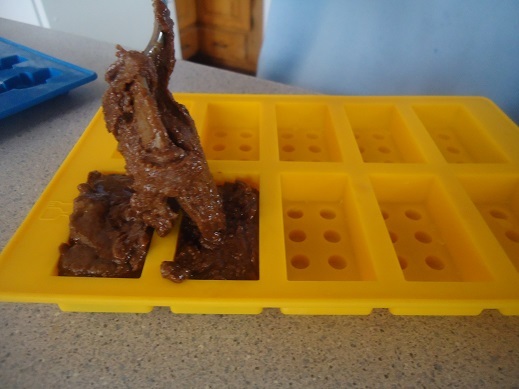 He was on board to “try making fudge,” then he remembered his Lego Shape Molds. “Can I make this into Legos, Mom?” Well, yeah!! What a great way to make this project even more perfect for him! Malachi made some of the mixture into Lego Bricks, some into Lego Mini-Figures, then patted the rest into a small container which we cut into squares later. When all was said and done, we decided that these actually don’t taste like fudge at all. But they do taste like an amazing homemade tootsie roll!!!! 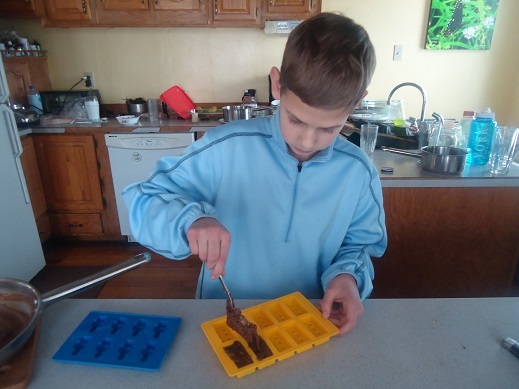 To eat a tootsie roll made with real food and shaped like a Lego – that Malachi had made by himself?! Well, it was a kids-cooking success! Use my recipe and instructions for making Homemade Almond Butter if you like. You can switch out the almond butter for Peanut Butter if you prefer. 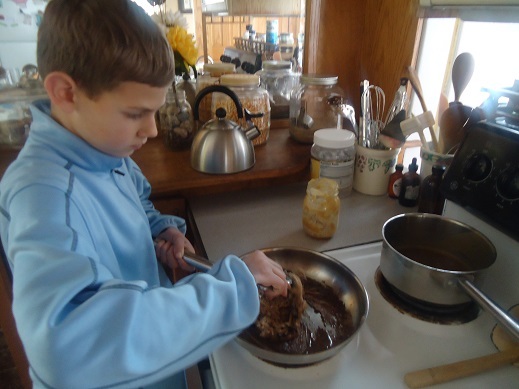 This Tootsie Roll recipe is what launched Malachi into his new world of discovering that cooking isn’t so bad! 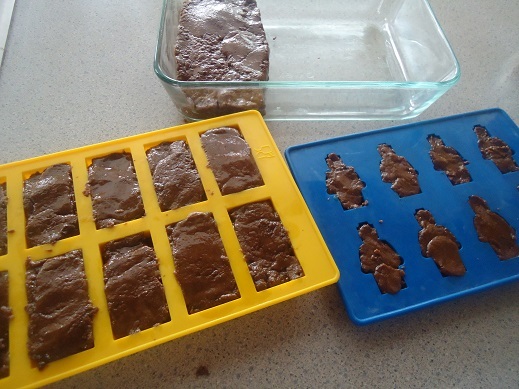 Begin with a very easy recipe – like these Homemade Tootsie Rolls! Pick something fun – like these Homemade Tootsie Rolls! Choose something you know your child will like to eat. Get out (or have your child help you get out) the ingredients your child will need before you start the cooking process. Be open to your child’s suggestions. Don’t back down. Your kids NEED to learn how to cook. 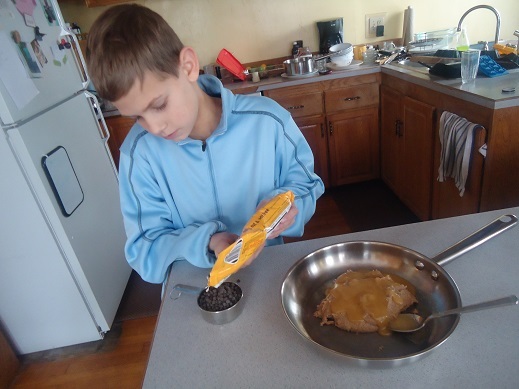 Teach your kids some great cooking skills through the Kids Cook Real Food video series. Learn about it here. The knife skills series is free, but we loved it so much we went through the entire course. 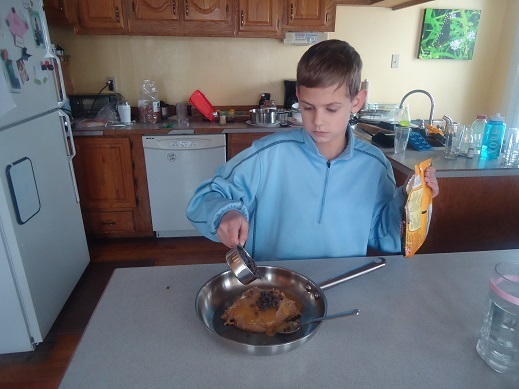 Malachi learned a ton and is now so much more confident with his cooking skills! 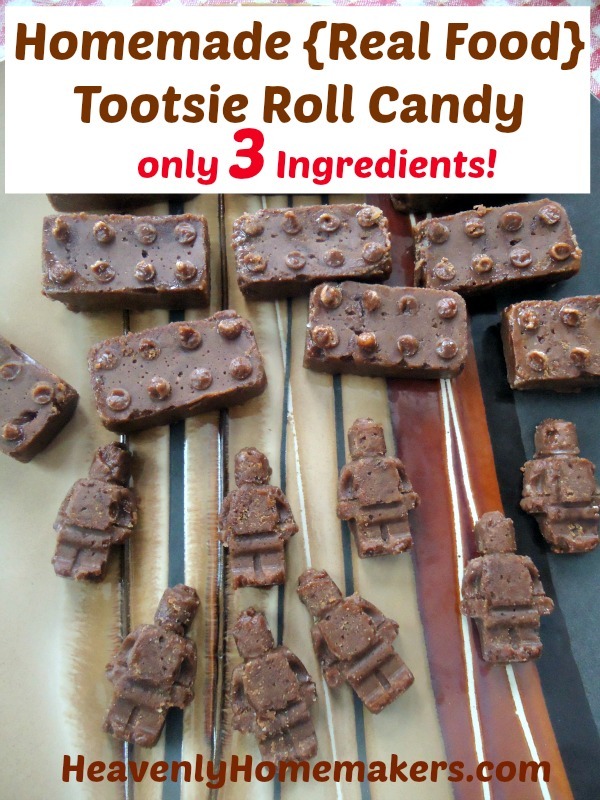 I love Tootsie Rolls – so I have to try these! You had me at tootsie rolls! Oh my goodness. Must make this. Any chance it will work with peanut butter? Otherwise, I guess I’ll have to buy my first almond butter ever just to get this right!